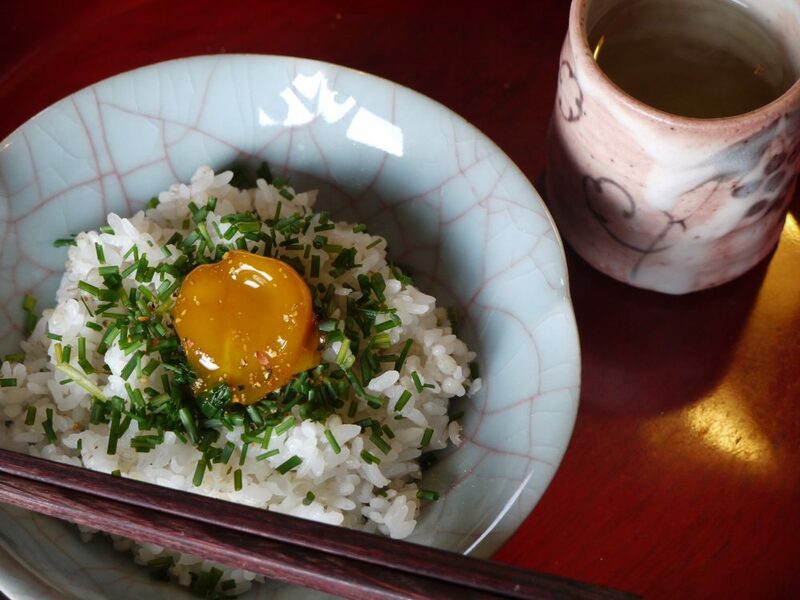 Do you like a egg yolk (ranou in Japanese)? I know this recipe won’t be everyone’s favourite. I’m an egg fan, especially egg yolk, and especially half cooked, that’s perfect! 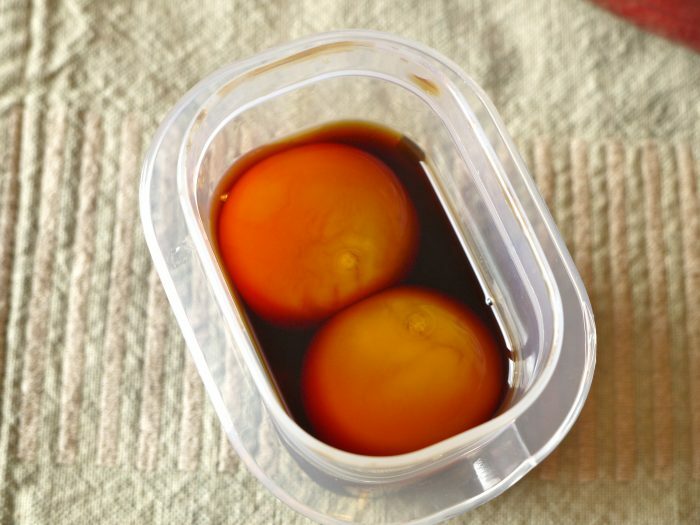 This shoyu zuke ranou (soy sauce marinated egg yolk) is a still raw egg yolk, but because it is marinated with soy sauce for a few days, the texture becomes more like a boiled egg. Try to remember this recipe if ever you have been cooking something that uses only the egg whites! About a raw egg; Have you ever hard of Tamago (egg) kake (pour) gohan (rice)? 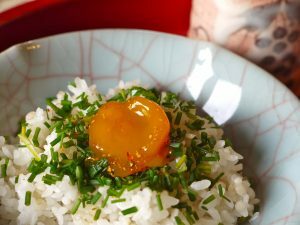 It’s very simple, Japanese white rice with raw egg! Just add shoyu and mix them well. Of course it needs to be a very fresh egg. 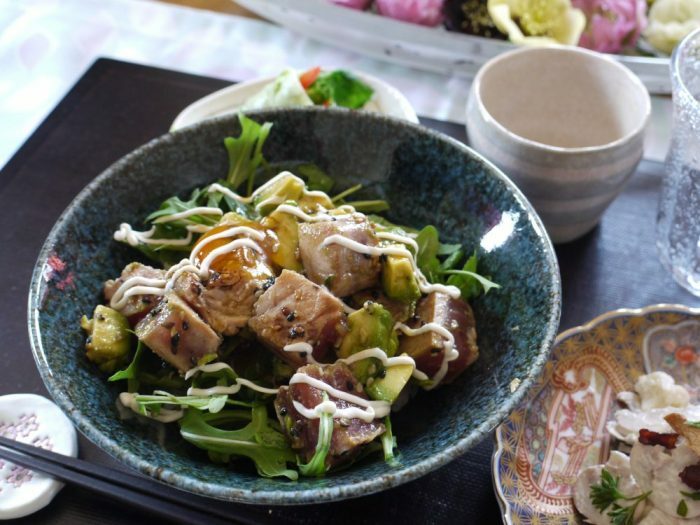 This is a traditional Japanese home-cooking rice recipe. 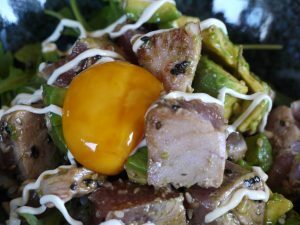 For non-Japanese people who do not have the habit of eating raw egg, it might be a “difficult” dish. But if you are OK to eat steak tartare, you should try Tamago kake gohan when you go to Japan. Put the lid on, keep in a refrigerator 24 hours. Remove the yolk from the sauce with a spoon. Enjoy with rice, vegetables, or simply the egg yolk on its own!